Another one of classic PPVs culminating into sheer viewer satisfaction and successfully living up to the hype it deserved. With titles on the line, one can only imagine the fury WWE superstars carry in their eyes is just peerless and watching them entertain is nothing less than a delight. Fact that every match ends in a result and every result has a repercussion is something beyond doubt so an aftermath is on the run as soon as the jig gets finished, so to speak. No Mercy had it all – promising superstars, established superstars, confident performers, fresh faces, and veterans, all of em. When the mix is as diverse as this one can expect turbulence in the force. When two mystic warriors are pitted against each other one can never be sure of whats coming next, exactly the case in this particular match-up. Bray Wyatt was looking for some redemption after what Finn Balor did with him at Summerslam but Eater of the worlds did’nt only bit the dust in the ring but was also was surpassed in the mind games. This win can bring Balor back into the game of universal championship which he was the first recipient of but it’s a really long and fierce way. How often do we witness a women’s fatal five way for titular clinch, not much. With Bayley, Emma, Nia, Sasha and Alexa Bliss in the ring it was impossible to keep their hands off each other. A match filled with great high flying moves and uncanny agility from the superstars it was difficult to decide as to who had the upper hand in the competition. Besides having all odds against herself the champion was successful in defending her title in a match which swayed in every direction possible. Enzo Amore can be considered more of a chipmunk than a WWE superstar in the way he conducts himself. Up against the king, Neville who clearly dominated the complete match left very few opportunities for Enzo to capitalize and to everyone’s surprise the underdog chose a cheap shot to bring down the cruiserweight king and win his maiden WWE Cruiserweight championship. Escaping from the eyes of official Enzo gave a low blow outta nowhere to Neville just to pin him down for three counts and creating an upset against every odd. Two of the finest performers fans have ever seen, one with a sixteen year old legacy behind him and other with a grit equivalent to that of a legend. The match started to an amazing crowd appreciation just like a Wrestlemania main event and boy did these two superstars entertained. Move after move close line after close line it was a treat to watch two finest gems in the business. As the match progressed, exhaustion levels increased and in the end it was all about that last knockout punch as neither of the two were ready to give up. We witnessed one of the greatest matches of the year as finally Roman Reigns emerged Victorious. Two everyone’s standing ovation Cena applauded and congratulated Reigns on his victory or was it a hint of adieu by Mr. Hustle loyalty & respect? The match everyone was waiting for finally arrived and two giants in all readiness to lock horns. It was the very first time that the beast incarnate had a stronger enemy than him. In a match where Braun Strowman dominated substantial period of time every one was expecting a new champ but the beast had other ideas. 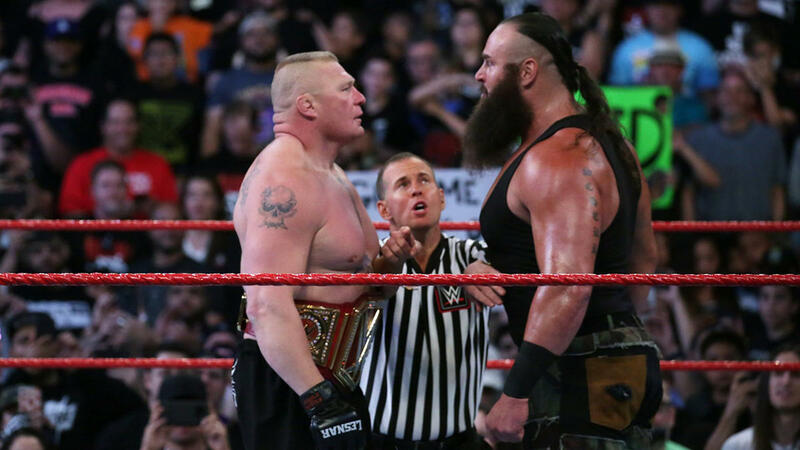 The perseverance and brutality of Brock Lesnar paid once again and even after being at the receiving end of Braun’s wrath he managed to give him a tour of supplex city. Another successful defence from the beast. Amazing as always No Mercy was terrific and as promised left all its fans craving for more. Just desire to say your article is as amazing. The clarity to your submit is just nice and icould suppose you are a professional in this subject.Fine together with your permission let me to seize your RSS feed to keep up to date with coming near nearpost. Thank you a million and please keep up the enjoyable work.